The English Roses by Madonna; more than 500,000 copies sold! An inspiring story about the importance of compassion and the rewards of friendship in a new 15th Anniversary Edition. 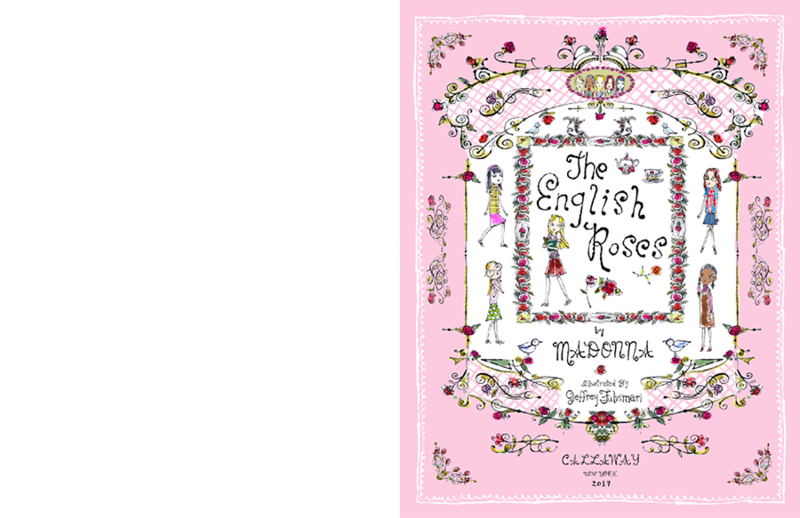 Madonna's The English Roses is a story of rivalry and friendship among schoolgirls in contemporary London. 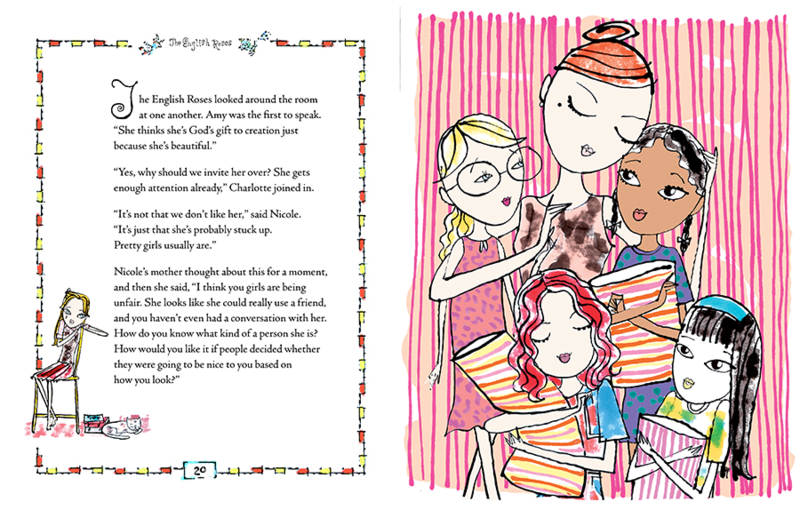 Four girls--Nicole, Amy, Charlotte, and Grace--are eleven years old and the very best of friends. 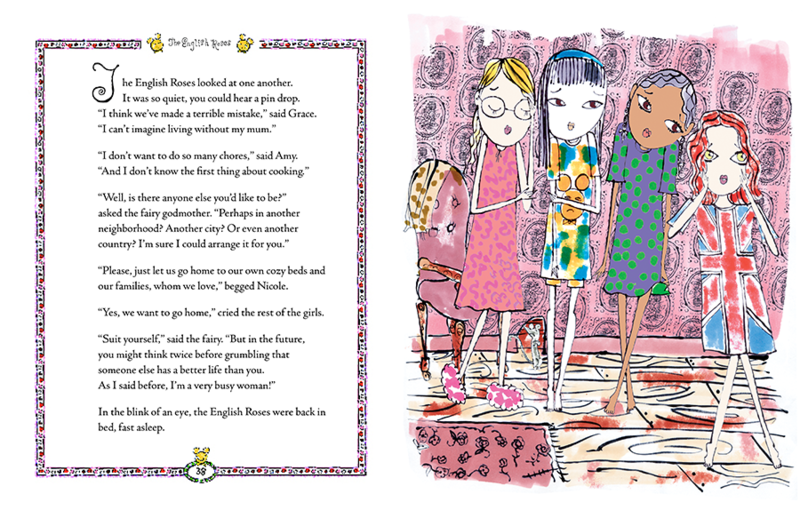 They have sleepovers, picnics and ice-skating parties that exclude Binah, a beautiful girl whose seemingly perfect life makes them "green with envy." 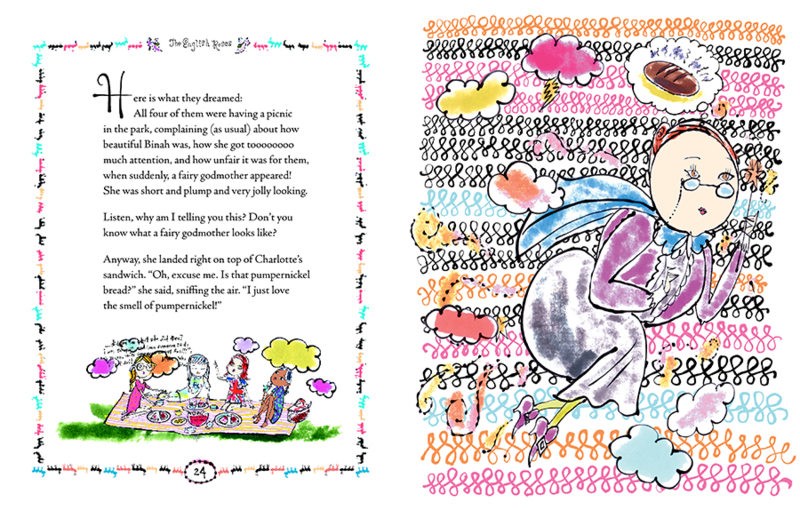 However, when a feisty, pumpernickel-loving fairy godmother takes them on a magical journey, they learn to their great surprise that Binah's life is not nearly as enviable as it had seemed. This tale is cleverly told, with many teaspoonfuls of good humor. Children and adults alike engage with this story that celebrates friendship as much as it teaches compassion. Jeffrey Fulvimari's illustrations are no less than stunning--they fill every page with vivacious black ink lines and gorgeous watercolor reminiscent of 1960s fashion sketches. 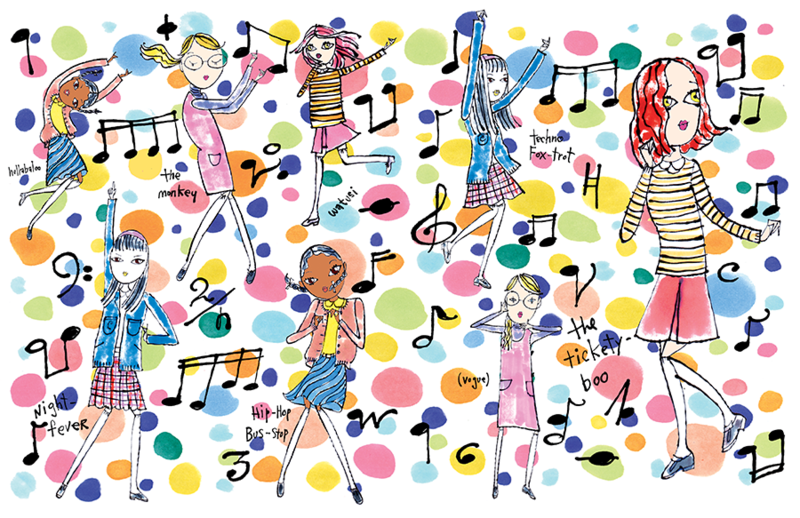 "Madonna has written a whole series of children's books, illustrated by Jeffrey Fulvimari. 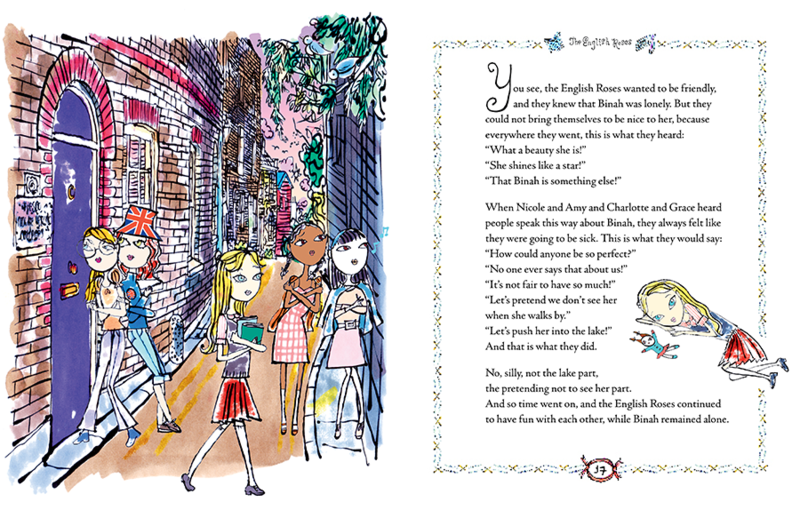 The ongoing story is about four girls who become jealous of another girl who they believe lives a perfect life.... Whatever wisdom they contain has certainly been shared widely - the first book was published simultaneously in 100 countries, something most debut children's authors could only dream about." "The story explores several issues, among them the idea that one can be envied or pitied and the emotional deprivation that often motivates overcompensation in both children and adults...Forget Madonna's wild ways. She offers a vital message for girls." "This book deals with a group of friends who snub a beautiful girl because they are 'green with envy;' ultimately they learn to have empathy for her, and include her. While a picture book, this is really more for the pre-tween crowd: It may be a good bridge for early readers who are feeling too big for picture books but aren't quite ready to tackle chapter books."